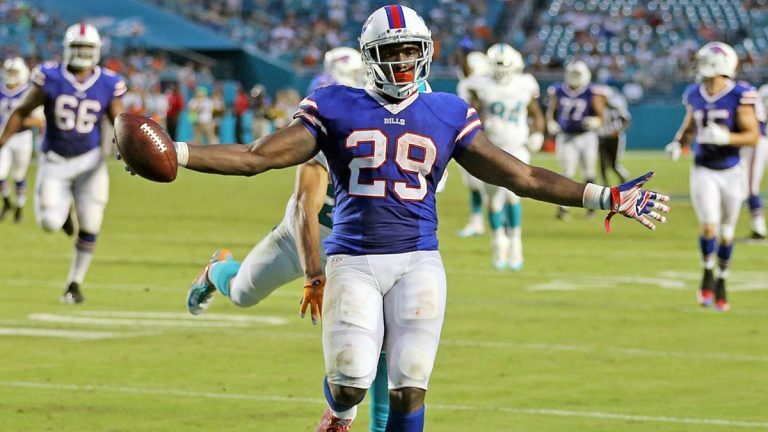 After two postseasons with the likes of Ben Tate and Fitzgerald Toussaint rushing the ball for the Steelers, the team today made a solid roster move, grabbing former Buffalo Bills running back Karlos Williams to the practice squad. Williams, a fifth round pick out of Florida State in the 2015 NFL Draft, carried 93 times for 517 yards and seven touchdowns in his rookie season. He’s also a bit of a headache, which is why he’s had a tough time finding work. He was suspended for the first four games of the 2016 season after violating the league’s substance abuse policy, and also early in his career has had weight issues. The Bills opted to cut Williams in August and he went unclaimed on waivers. For now, he’s going to find work on the Steelers practice squad, where hopefully he can get things right in his career, and if need be give the Steelers some help down the road if need be. 1 Comment on "Steelers Add Depth to the Practice with Former Bills RB Karlos Williams"
Substance abuse problems ? I think weve had more than enough of that over the last couple years . Whoever signed off on that aint to bright .